No purchase necessary. Contestant must fully complete the survey by August 24, 2014, through one of the methods described in the paragraph below for a chance to win an Amazon Gift Card. The contest is open to middle schools, junior high schools, and senior high schools in the United States. Employees (and their immediate families and household members) of EF Explore America, Inc. and its affiliates are not eligible. 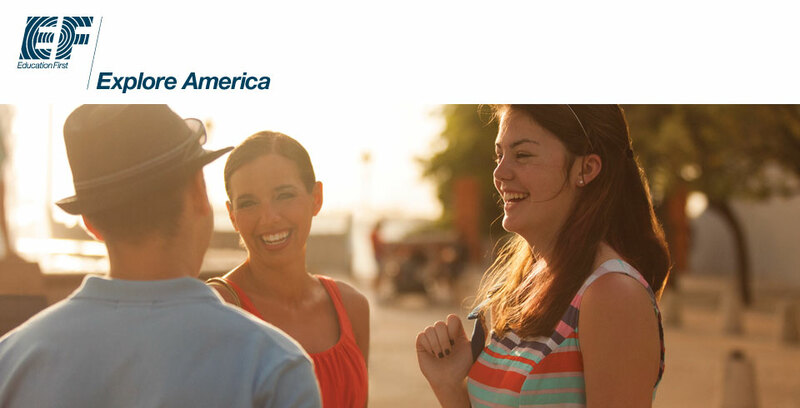 To enter, contestants must submit their completed EF Explore America survey. Required information includes the contestant’s name and email, as well as answers to all survey questions. EF Explore America can be contacted at EF Center, 8 Education Street, Cambridge, MA 02141. EF Explore America, Inc., its affiliates agents and others working for them or on their behalf, will have the right to photograph the winner and entry constitutes permission to use their name, picture, likenesses, school’s name and city and state of residence(s) in advertising for no additional compensation. Starting dates and ending dates for receiving entries are June 24, 2014, and August 24, 2014, respectively. There will be three Amazon Gift Cards awarded, with a total value of $100 per prize. The winners will be selected in a random drawing. Participants agree to be bound by these rules and all decisions of the judges, whose decisions on all aspects of this drawing are final. The winners will be notified by October 1, 2014. The winners do not need to be present to win. EF Explore America will notify the winners by phone, email or standard mail. The odds of winning will depend on the number of eligible entries received. Prize must be claimed by November 11, 2014. Failure to execute and return any requested document(s) within 7 days of receipt, or return of notification or prize as undeliverable may result in forfeiture of prize and an alternate potential winner being selected at the sole discretion of EF Explore America management.